The month is now officially half over which means we are halfway through this month of school lunches. When this whole project started my initial thoughts were that I wanted to raise awareness for this problem that we are facing. Our children, now more then ever, are overweight and unhealthy and the food they are being served in schools is not helping this problem. And so after a little prompting from Jamie Oliver I decided to blog about it in an effort to raise awareness. As the days passed, and I blogged about meal after meal that is not helping our chidren to be healthy I realized that more needed to be done. But what? And so an idea began to formulate. I am still not completely sure what this looks like, but I am hoping to figure that out in the next couple of weeks and months. What I do know is this…I am passionate about leading a healthy lifestyle. For me that includes training for races with friends, eating healthy food (meaning unprocessed) and really being aware of the fact that I need to take care of my body. I am also passionate about teaching. Everyday I have the opportunity to make a difference in the lives of the next generation. So why not combine my passions and show my students what healthy living looks like and empower them to do the same in their lives. But that’s not enough. I only teach 80 students a year. So what if other teachers began to do the same thing? Teachers everywhere have a direct connection to the next generation. Everday we have a captive (and yes some days they do feel as though they are being held captive!) audience. So what if teachers everywhere begin to show their students what a healthy lifestyle looked like and empowered them and equipped them to live a healthy life? Would this generation of kids become more active, eat more fruits and vegetables and take ownership of taking care of their bodies? Embarking on this journey is big and scary, but what if it worked? What if teachers everywhere could bring the message of healthy living to their students and those students began to lead healthy lives…that would mean amazing things for this generation of kids! After nearly two weeks of posting about our school lunches I think I might finally have an idea. I need to think through the idea and articulate my thoughts, but more will be coming on Monday…so stay tuned. In the meantime, here is a look at today’s lunch…and if you’ll remember from previous posts…this is not the first, or even second time, the students have eaten this sandwich in the last two weeks! One of my favorite things about cooking is trying a new recipe. If I had to eat the same food over and over again I would be one sad girl. And so I wonder how my students manage to eat the same lunches over and over again. This is only week two of this project and yet there have been serveral lunches that are exactly the same as what was served last week. Recently Jamie Oliver was in West Virginia with his Food Revolution campaign…we need a food revolution in the schools, but how? 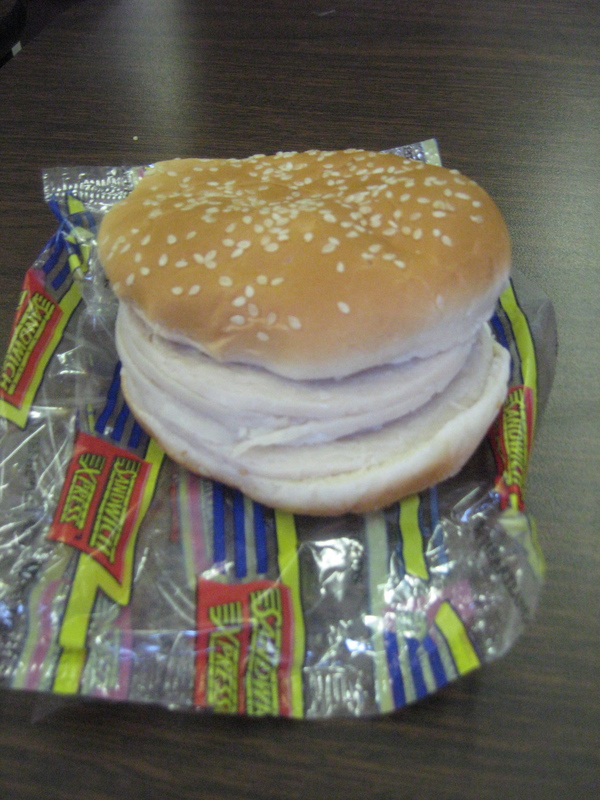 So, when you see today’s lunch you may be struck by how familiar it looks. And no, it’s not déjà vu…this was on the menu last week as well. 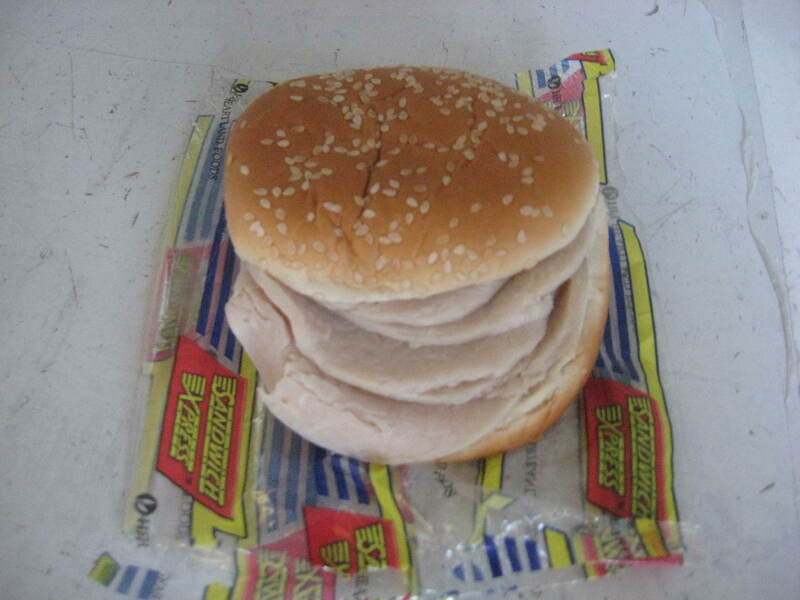 I’m told that the kids were supposed to have chicken nuggets but they ran out so the rest of the students got this meat sandwich. From what I gathered from my students, they didn’t like today’s anymore than when they ate it last week! It’s that time of day again where lunch is served! 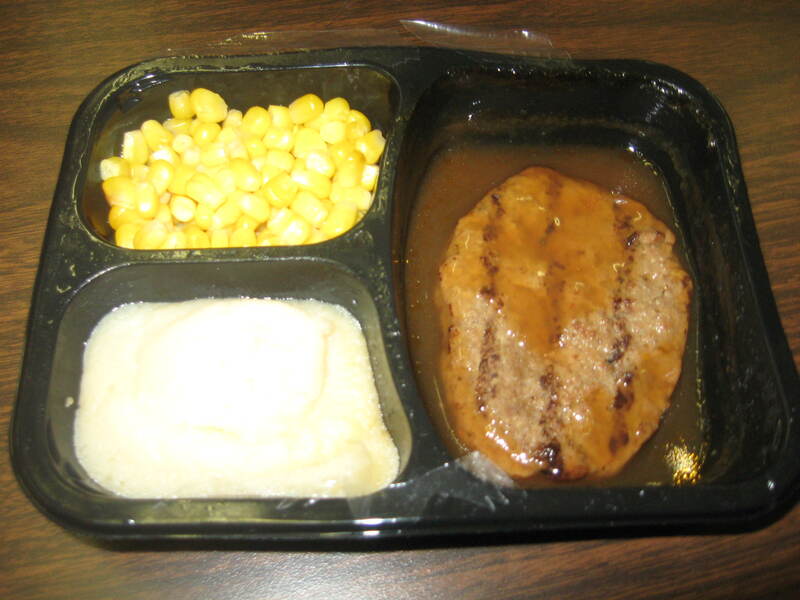 And for us today that meant Salisbury Steak, corn and mashed potatoes. Now that we are almost halfway through the month-long project to look at just what exactly is being served in school lunches, can you share this with others because the first step to change is raising awareness? What are we eating these days at school? I mean it’s like they don’t want us to eat! The first problem is our food’s temperature. Another problem is our food’s taste. The first problem is our food’s temperature. One example of that is the fruit cups we receive that have ice in them. 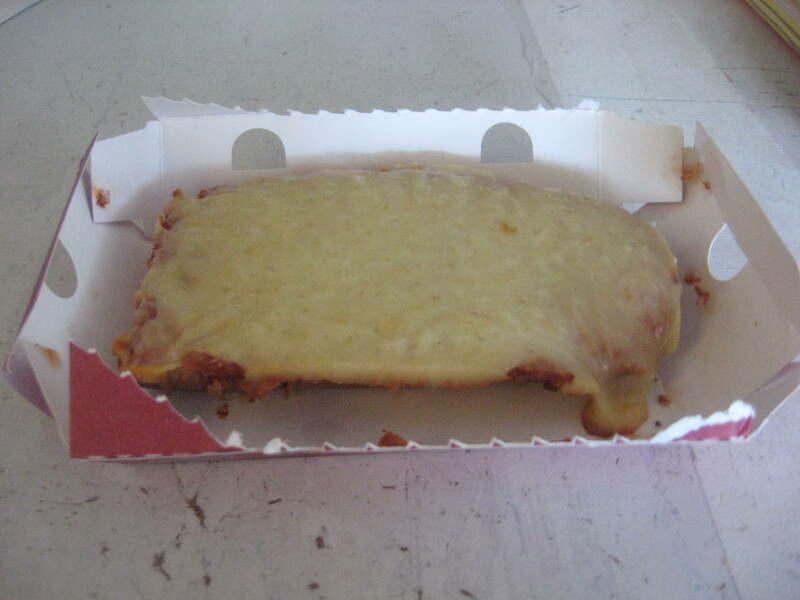 Another example is our sandwiches are really cold and the final example is the pizza is sometimes icy cold. Another problem is the food’s taste. The first example is the sandwiches that taste like everything else but what it’s supposed to taste like. Another example is the garlic bread and breakfast that don’t taste good at all. Those are two of the problems with our food, and the examples. Hopefully you can help us. We are now a week into this month-long project to raise awareness about the food served to students in school. My hope is that by the end of the month not only will more people be aware of what our kids are actually eating, but we can begin to bring change for our kids. Last week definitely served up some interesting food…chili, hamburgers, meatballs and meat sandwiches. Today’s lunch fits right in with that list…pizza. 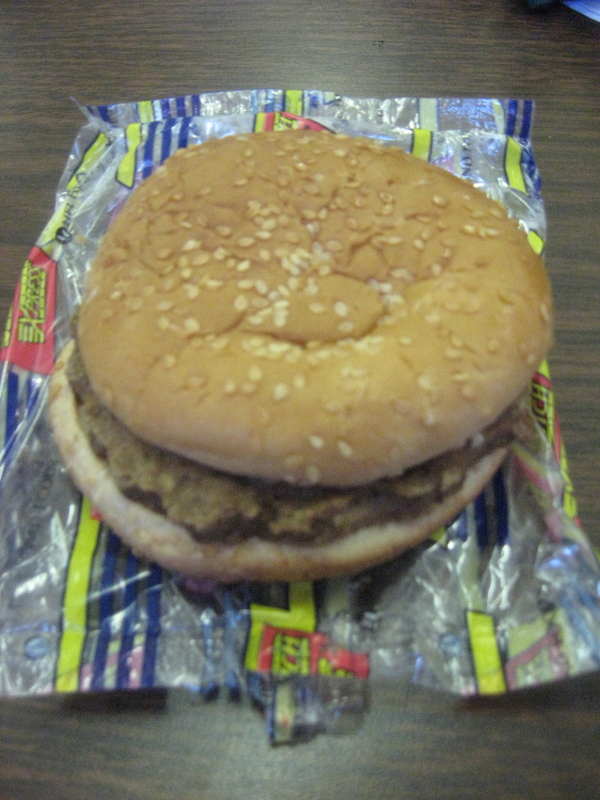 Why should we suffer from school lunch that is cold and old? Sometimes the food is overcooked or undercooked. Finally, I think we should get better lunches because it isn’t always enough food for all the students. Sometimes the lunch is overcooked or undercooked. 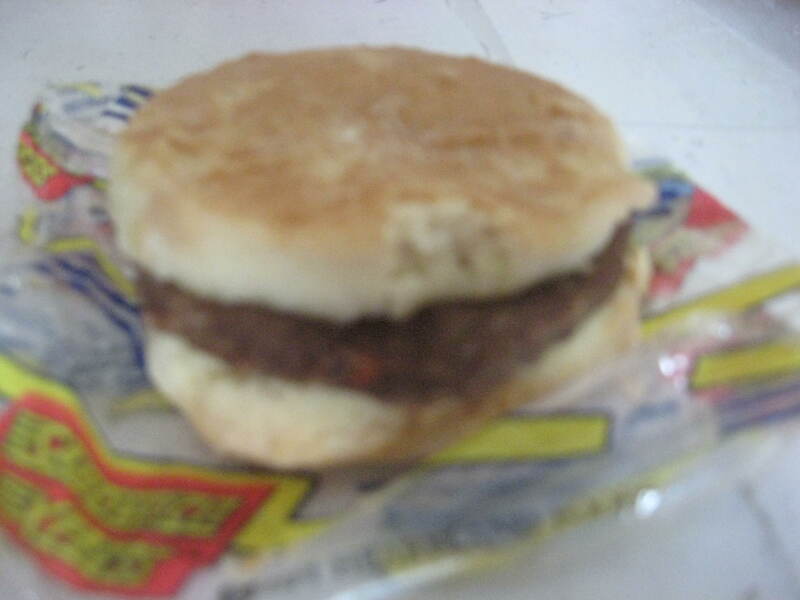 The meat on the patties is red and looks very nasty. Another example, is that the peas and mashed potatoes are cold and hard. Finally, the juice is sometimes hot. Last but not least, I think we should get better lunches because there isn’t always enough for all of the students. I say this because when we have chicken nuggets there aren’t enough, so everybody that’s left gets a little package with a cold meat stick and crackers. However, many of the students don’t get juice because there aren’t enough and kids are thirsty. The bottom line is we need a change. What are we eating in school these days? 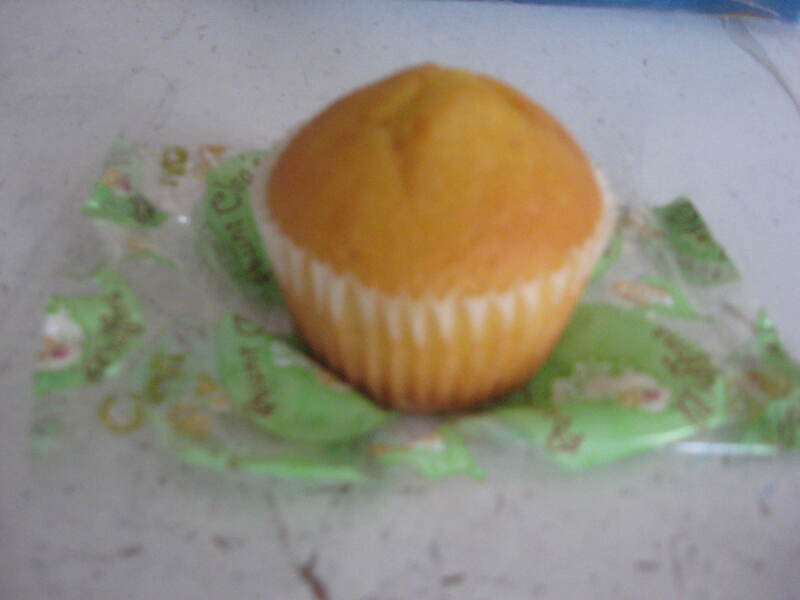 One day I went down to lunch and our lunch lady handed me a lunch. I looked at it and said ,”Wow” I didn’t even know what it was. It was mushy and it looked moldy. I threw it in the trash because it was garbage! I want to tell you four reasons why we desperately need new lunches. One reason is its not at all healthy. We are young and we need healthy food for our body. Not only is our food disgusting but its fattening. 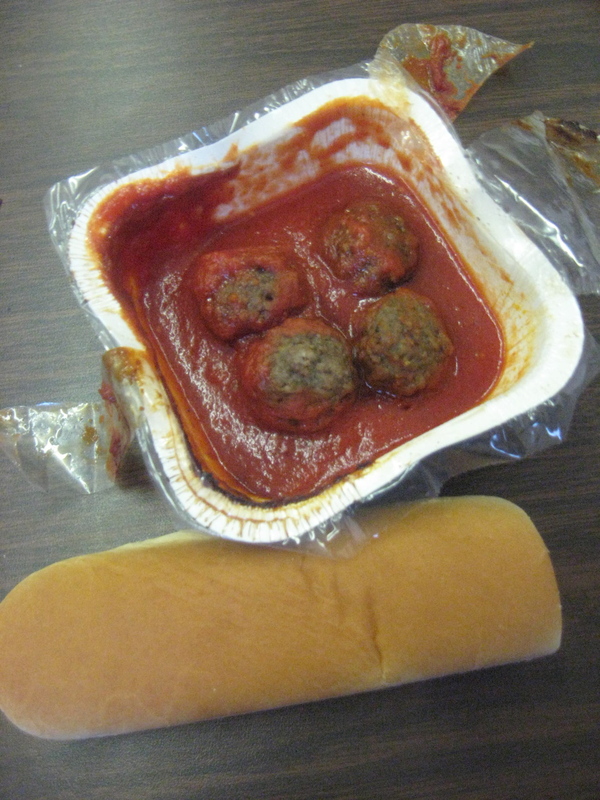 We get served food such as meatball sandwiches, muffins, and spaghetti. It may sound good but wait till you see it. You’ll want to throw up. I think that if we got healthier lunches more kids would be in shape. 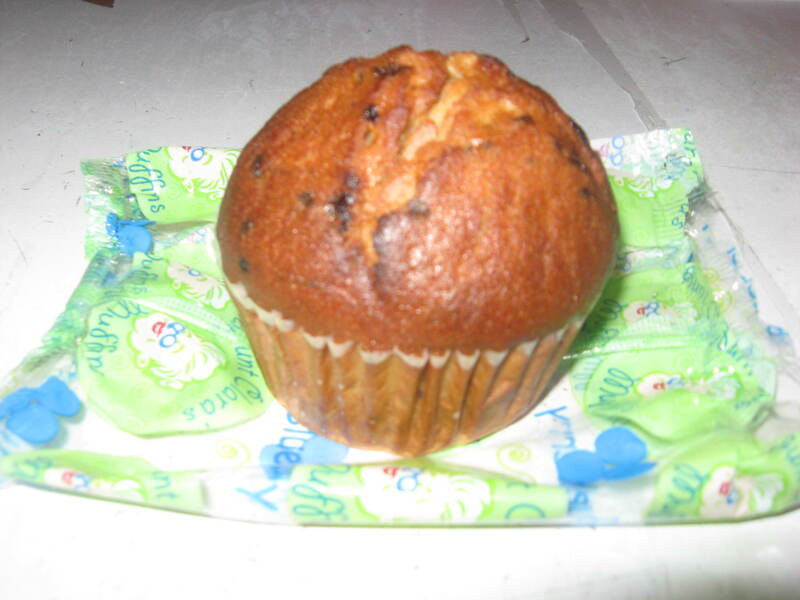 Everybody wants to eat healthy but how can us as kids eat healthy when we are getting served trash? Its nowhere near healthy and is so nasty we don’t even want to look at it. Another reason we need new lunches is because of the temperature of the food. If we get nuggets which are supposed to be hot then they are cold. If we get sandwiches which are supposed to be cold then there hot, it’s a big disgrace. We get fruit cups for lunch and they are frozen. How are we suppose to eat frozen fruit? We get breakfast like waffles and they are mushy. You could eat them with no teeth that’s how soft they are! The kids shouldn’t have to eat this food. We are in school 7 hours a day. We should be able to come to school and get a good meal instead of starving yourself all day and having to wait until you get home to eat some real food. The third reason we need better lunches is because our food is expired. Do they want to kill us? I was eating cereal and the milk was sour. I thought it was just me. Then a friend complained about the same thing so we didn’t eat breakfast that day. If you’re going to give us food, they should make sure its not old. We eat food that people wouldn’t even feed to animals. Our food should be something we enjoy eating, but we’re not enjoying this at all! The last reason is we don’t even know what lunch we’re being served. When we see the food kids look at it and are like what is this? They say its a English muffin with cheese but it look like soggy bread with milk. We have chicken Parmesan but it scares me I wouldn’t eat it if it was the last thing on earth. We have pizza that’s burnt and chicken that’s not all the way done. Do you agree when we say it’s time for a change? Thanks for the great response on these posts! I hope that if people can see what school lunches actually look like for a whole month, we can start to bring change. Starting tomorrow I’ll be posting letters from my students asking Jamie Oliver for help bringing change to school lunches. 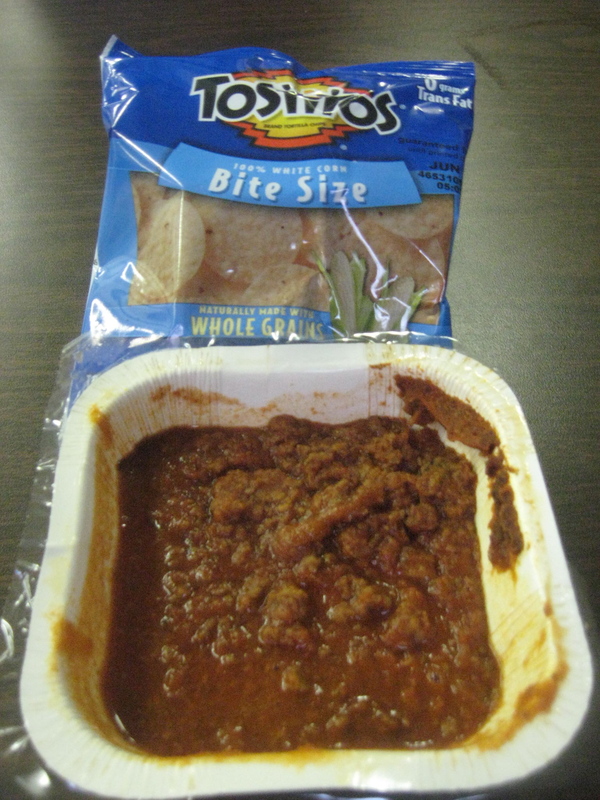 I wish I had the answer for how to make our students’ school lunches healthy and economical, but I don’t. But wouldn’t it be worth it to spend a little extra money so that our students are eating healthy? Or to give students fresh fruit at breakfast and vegetables with their lunch? I hope that by giving readers a glimpse of what students actually eat for lunch on a day-to-day basis I can raise awareness about this problem and hopefully help in this process of bringing about healthy changes.